Contact Gardening Angel on 0467 001 100 for your free quote! We’ll give you all the details for the job you want – and deliver it when you need it! Are you living in Wyndham Vale and looking to get your garden back to its best? Gardening Angel can help you with all your landscaping, lawn and gardening requests. 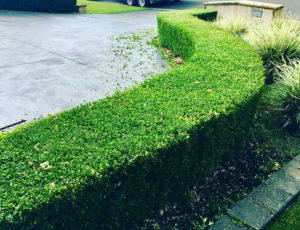 With our expertise, our in-depth knowledge and our commitment to our customers, we can deliver the perfect garden transformation you want for your property. Maintaining your garden and lawn can be a struggle. It can take hours and when faced with the prospect of making it look cut perfectly, you can find yourself wondering how to get it done. So if you are living in Wyndham Vale, you don’t have to worry about it. The experts here at Gardening Angel can make all the difference to your garden and lawn with our experienced service. We can cut your lawn professionally and leave it looking stunning in every way. And when it comes to your garden, we can make all the adjustments to ensure that your garden landscape is perfect in every way. Stressless Service For Your Wyndham Vale Property! You don’t have to stress about your lawn or garden with us in charge. Take that pressure and stress away, as we handle everything for you! We can help you with an array of services and we can do it for an affordable rate! We will work around your times – including weekends, public holidays – and we will work on any sized project! Get into contact with us today and get back your free time!